Two House committees have issued subpoenas to Deutsche Bank and other financial institutions for information on President Donald Trump's finances. The chairs of the House Intelligence and Financial Services committees said in statements to NBC News on Tuesday that they are working in tandem to probe the president's financial ties. House Intelligence Chairman Adam Schiff, D-Calif., said they're pursuing the information as part of their investigation into "allegations of potential foreign influence on the U.S. political process," adding that the committees issued a "friendly subpoena" to Deutsche Bank, which has longstanding ties with the president. "As part of our oversight authority and authorized investigation into allegations of potential foreign influence on the U.S. political process, the House Intelligence Committee today issued subpoenas to multiple financial institutions in coordination with the House Financial Services Committee, including a friendly subpoena to Deutsche Bank, which has been cooperative with the Committees," he said. "We look forward to their continued cooperation and compliance." 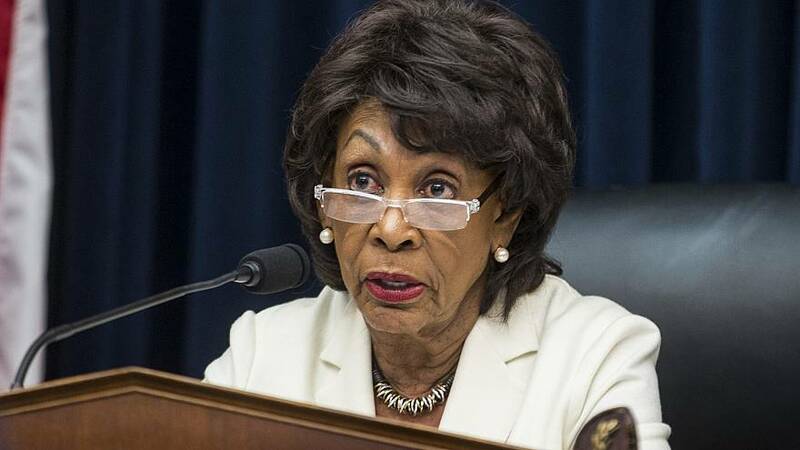 House Financial Services Chairwoman Maxine Waters, D-Calif., said, "The potential use of the U.S. financial system for illicit purposes is a very serious concern. The Financial Services Committee is exploring these matters, including as they may involve the President and his associates, as thoroughly as possible pursuant to its oversight authority, and will follow the facts wherever they may lead us." Trump has been associated with Deutsche Bank since the late 1990s, a time when the big Wall Street banks wouldn't lend to him following a series of business mishaps. Eric Trump, the president's son and an executive vice president of the Trump Organization, slammed the subpoenas as an "abuse of power" in a statement to NBC News. "This subpoena is an unprecedented abuse of power and simply the latest attempt by House Democrats to attack the President and our family for political gain," he said. "Instead of legislating, the committee is obsessed with harassing and undermining my father's administration, doing everything they can to distract from his incredible accomplishments. This incompetence is the exact reason why the American people have such disdain for politicians and why my father was elected President. Today's actions by the committee set a horrible precedent for all taxpayers." Deutsche Bank spokeswoman Kerrie McHugh told NBC News that the bank "is engaged in a productive dialogue" with the two committees. "We remain committed to providing appropriate information to all authorized investigations in a manner consistent with our legal obligations," McHugh said. Schiff told The New Yorker in a profile published in December that he is interested in the German financial institution because of its longtime relationship with Trump and its past ties to Russian money laundering. In 2017, Deutsche Bank was fined nearly $630 million by New York and British financial regulators for its role in a Russian money-laundering scheme. Trump's financial disclosures showed he held roughly $360 million in debt to the bank before his election as president, The Washington Post reported in 2016. Schiff told NBC News' "Meet The Press" in December that Trump's records with Deutsche Bank could expose "a form of compromise" with Russia. "Well, the concern about Deutsche Bank is that they have a history of laundering Russian money," Schiff said. "And this, apparently, was the one bank that was willing to do business with the Trump Organization." Schiff added, "If this is a form of compromise, it needs to be exposed." Trump said in 2017 that any efforts by special counsel Robert Mueller to look into his business dealings would be crossing "a red line." He also reportedly exploded in anger after erroneous news reports that Mueller had subpoenaed records from the Deutche Bank, which led Trump to consider firing Mueller in early December 2017, The New York Times reported, citing White House officials, people close to the president and others familiar with the episode. New York Attorney General Letitia James' office also issued subpoenas to Deutsche Bank and Investors Bank in March as part of an inquiry into a set of major Trump Organization projects, a source familiar with the investigation told NBC News.